It’s a sad fact that many people feel low or ‘blue’ much of the time. According to the mental health charity, MIND, as many as one in six people will suffer from low mood or anxiety in any given week and this figure rises during the winter months. However, the great news is that when your body is properly and consistently nourished with the right foods, your mood, motivation and energy can increase significantly. Lack of serotonin, your ‘happy hormone’. Serotonin works as both a hormone and neurotransmitter and having sufficient levels in the body is key to great motivation and good mood. Lack of good gut bacteria; there is a direct link between good digestive function and the brain, commonly known as the gut-brain axis. However, you can eat your way to a better mood with these food mood musts! Serotonin, your happy hormone, is made from the amino acid, tryptophan. Antidepressant drugs like Prozac work by stopping the body from breaking down serotonin, therefore keeping more circulating in the brain. Interestingly, serotonin is also needed to produce melatonin hormone, which controls the sleep/wake cycle; poor sleep is another reason for making us feel low. Therefore, one of the keys to eating your way to happiness is by choosing foods from which the body makes serotonin. These are foods that are rich in the amino acid, tryptophan, the precursor to serotonin. Some examples of good meal choices are porridge made with soya milk, scrambled eggs with wholemeal toast, grilled chicken breast with baked potato and green beans, salmon fillet with quinoa and a green salad. However, it’s also been found that tryptophan competes poorly with other amino acids for access to the brain, and sufficient carbohydrates are needed. This may explain why many people eating a very low-carb diet are often depressed. The answer is to include some healthy carbohydrate sources into your diet, such as fruit, to help the uptake of tryptophan. The above examples also provide an excellent balance of protein and complex carbohydrates. If sleep is an issue for you, try eating a small snack before bedtime – oatcakes are a great choice. They contain both tryptophan and some complex carbohydrate, which won’t over-stimulate and encourage the release of adrenalin. Although you need some dietary carbohydrates to encourage tryptophan uptake, you want to avoid refined carbohydrate foods such as cakes, biscuits, sweets and overly sugar-laden cereals. Equally, foods that are low in fibre, such as cornflakes, can also adversely affect blood sugar levels. The main fuel for the brain is glucose, and your brain uses more glucose than any other organ. However, highly refined and excessive sugary foods cause spikes in insulin levels, causing highs and lows of blood glucose levels. The problem with these ups and downs is that they affect your mood and concentration. When there’s a real dip in blood glucose levels, the brain can feel fuzzy and mood becomes agitated. If this pattern is repeated over a period to time, it can result in frequently low mood and poor energy levels. Your body (and brain) needs fuel provided by complex carbohydrates such as those found in wholegrains, beans, lentils, peas and root vegetables. Interestingly, while fruit does contain sugar, it’s mainly fructose which has to be processed through the liver and, therefore, takes longer to break down and utilise. Berry fruits such as cherries, blueberries, strawberries and raspberries, as well as apples, have higher levels of fructose rather than glucose and therefore have less adverse effect on blood sugar levels. Your body needs a wealth of vitamins, minerals, amino acids, essential fats and antioxidants, as well as glucose and water to function on a daily basis. However, as a nation we’re not meeting our nutrient requirements. 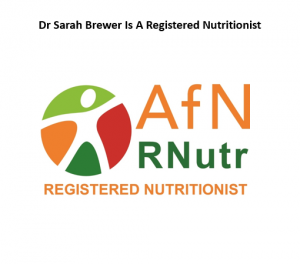 A recent report in the Nutrition Bulletin highlights the growing effects of low nutrient status. Clearly, this will affect health overall but will specifically affect brain health and, of course mood. Many nutrients are needed for good brain health, including vitamin B3, vitamin B6, vitamin B12, vitamin C, folic acid, the mineral magnesium, and the essential fats. Some of the best sources of vitamins and minerals are fruits and vegetables. We certainly need to aim for way more than the recommended five-a-day – nearer ten would be ideal. However, if you’re struggling to eat a balanced diet, then taking a daily multivitamin and mineral supplement that includes a dried blend of 26 fruits and vegetables is highly recommended. Visit to find The Alive! range of supplements is available from www.feelaliveuk.com and from Amazon.com or Amazon.co.uk in tablet or soft jell format. They’re age and gender specific and suitable for the whole family. Your brain is actually around 60% fat and much of this is made up of the ‘good fats’ or the omega-3s and 6s (the essentials!) It makes sense, therefore, that these need to be replenished for optimal brain function. In the brain, they regulate the release and performance of serotonin, which we know is key for good mood. We also know that higher levels of essential fats in the brain equate to higher levels of serotonin. So what to eat? Oily fish, including salmon, mackerel and sardines are key. However, if you’re vegetarian, or don’t like fish, then walnuts, soybeans and wheat germ are great sources of both the omega 3’s and 6’s (remember the brain needs both)! Flaxseeds and pumpkin seeds are also great, or look for a supplement that contains both the essential omegas. There’s no doubt that if you’re stressed, this will adversely affect mood. This is partly because stress reduces serotonin levels. Interestingly, low oestrogen levels also reduce serotonin, making women more susceptible to low moods, particularly when stressed. There are many different reactions going on in the body during the stress response; the amino acid taurine helps to produce GABA, one of our calming neurotransmitters. So, if there was one food I would recommend above all else to eat for good mood and for calming stress, it would be eggs! They’re packed with tryptophan, they encourage GABA, they’re high in protein, so balance blood sugar levels, and they also contain phospholipids, another group of brain-loving fats! The gut and brain are inextricably linked; they both need to be in good working order to encourage a happy mood and strong motivation. The gastrointestinal tract is home to huge quantities of bacteria, some good (often referred to as friendly bacteria or flora) and some not-so-good. Good bacteria, or probiotics, play such a key role in many aspects of health, including the immune system and promoting a happy mood, it’s crucial that there’s always sufficient living within the digestive tract. Without these friendly bacteria, our systems would be overwhelmed with toxins and cellular debris. Interestingly, around 70% of serotonin is produced in the gut but this doesn’t happen efficiently if things are not working well within the digestive tract. 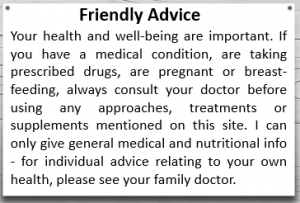 Therefore, taking a course of probiotics, perhaps for a month (for longer if you’ve had to take any antibiotics), can really make a difference by ensuring optimal wellness of the digestive tract; acidophilus and bifidobacteria are the most prevalent resident strains. Too much sugar in the diet upsets blood sugar balance which can cause low mood. Sugar also creates adverse conditions for encouraging the good bacteria to flourish and causes overgrowth of yeasts, detrimental to a healthy digestive tract. It’s therefore also worth avoiding too many yeasty foods. So your food musts can be your mood musts! 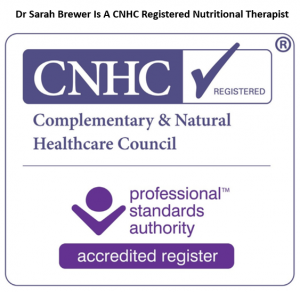 Suzie Sawyer DipION is a Clinical Nutritionist with over 15 years’ experience in natural healthcare, from working in a private clinic in Harley Street, to managing a team of nutritionists in one of the UK’s leading food supplement manufacturers.